Jay Jay Warren Exceptional Actor, Dancer, Singer and Performer! Rivenmaster’s Place has featured so many wonderful young actors but I have not had the privilege to personally meet all of them. 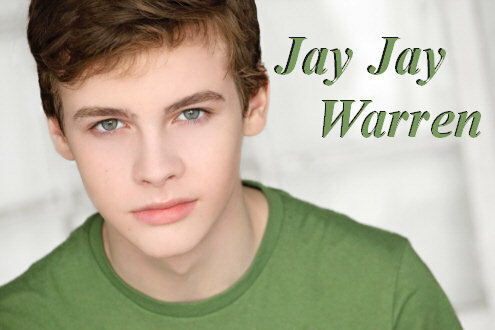 One young actor/dancer I was privileged to meet is Jay Jay Warren. I first wrote about Jay Jay back in January of 2012. 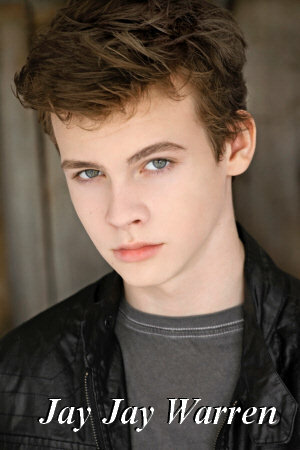 He was still living in Texas at that time but has since moved to California to pursue his acting and dancing career. I then visited LA the following year were I was privileged to sit down with him for an interview at the Hard Rock Café on City Walk at Universal Studio. Like all young men his age he has really grown since I first met him and now stands eye to eye with me at 5’10”. His young unbroken voice in now very deep and while he just turned 14 years of age Jay Jay auditions mostly for 15-16 year roles. Jay Jay begins his 9th grade year for home-school this year through Sunland Christian School. Since Jay Jay last feature article, he was signed by manager Gregg Edwards and Paradigm, who currently represents him for acting. In addition Abrams Artists Agency handles his commercial representation. He feels so blessed to have this amazing team around him along with his acting coaches and mentors. “They are the BEST” and work so hard for me! say’s Jay Jay.